Bob Burkart knows and cares about Salida. He moved to the Arkansas Valley in 1971 and has lived and worked here ever since. His wife, Janet, a Salida native and long-time local business owner, was voted 2007 Woman of the Year by the Chamber of Commerce. A close-knit family, their grown son and daughter-in-law and adorable one-year-old granddaughter live in Colorado Springs. In 2002 Bob retired from thirty years in the automotive business and became a full-time Realtor. In 2007 he was named Salesman of the Year at First Colorado Land Office. Bob feels privileged to be of service to his clients. His extensive knowledge of the area and high ethical standards make him an extremely informed and honest broker. An easy-going, direct, and friendly person, he gives prospective buyers and sellers a strong sense of comfort and support as they go about the challenging and exciting business of finding, investigating and negotiating Arkansas Valley properties. Bob believes deeply in on-going education, and he never stops learning and teaching. 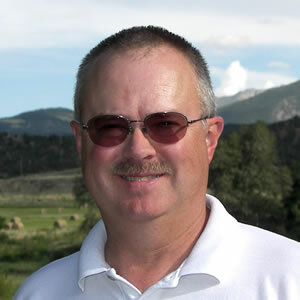 He achieved the e-Pro Technology Certificate in 2006; the Graduate Realtor Institute Designation in 2008; the Accredited Buyer’s Representative Designation in 2013; served for ten years on the Board of Directors of the Chaffee County Crime Stoppers; fifteen years on the Board of Directors in leadership capacities while teaching snowmobile safety for the Heart of the Rockies Snowmobile Club. He has just completed NAR’s GREEN courses and achieved the Green designation this year. An enthusiastic outdoorsman, Bob has enjoyed dirt biking, bicycling, archery, hunting, camping, shooting sports, fishing and snowmobiling during his forty-four active years in the Salida area.